Take a look at this kitchen! It's very warm and colorful. 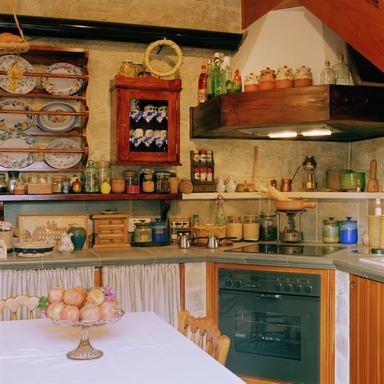 A lot of diferent items placed everywhere posiible make this kitchen very lively. And isn't it one of the main qualities for a kitchen?